As I write this, we're arguably still in the midst of the primo storm-cycle of the season, having received more than 20 inches of ~4% snow (blower powder) above 9700 feet since early Saturday morning. More, to the tune of 14"+ at elevation, is promised overnight. So, how exactly did I spend the last two-and-a-half days? Did I shred my double-rocker'd monster-fat powder skis? Did I tear it up in the out of bounds trees? Well, no. Not exactly. I made just two runs all weekend. Why? Because, I've been in avalanche education class to get my Level 1 certification since Friday afternoon, thanks, in part, to a generous scholarship the folks at the Kachina Peaks Avalanche Center awarded me. Despite my lack of turns over the past several days, I've certainly not lacked for time-on-snow. The Avy Level 1 class requires 24 hours of coursework, about 20 of which are spent in the field, which in this case really means on the mountain. So, while all my friends were turning chairs and blowing through huge overhead, waist-deep pow all weekend, I was skiing uphill to stand for hours on end at 10,000-11,500 feet, in near-zero temps, in the middle of high alpine glades and gullies, doing countless beacon searches, digging snowpits, charting conditions, and looking at faceted snow-crystals and depth hoar with a jeweler's loupe, while it snowed and blowed and snowed and blowed the entire time, without interruption. It really was a heck of a lot of fun. I won't bore you with the details. Nevertheless, for the record: I'm really glad I finally got this training, even though it meant missing out on a couple of otherwise awesome ski-days. 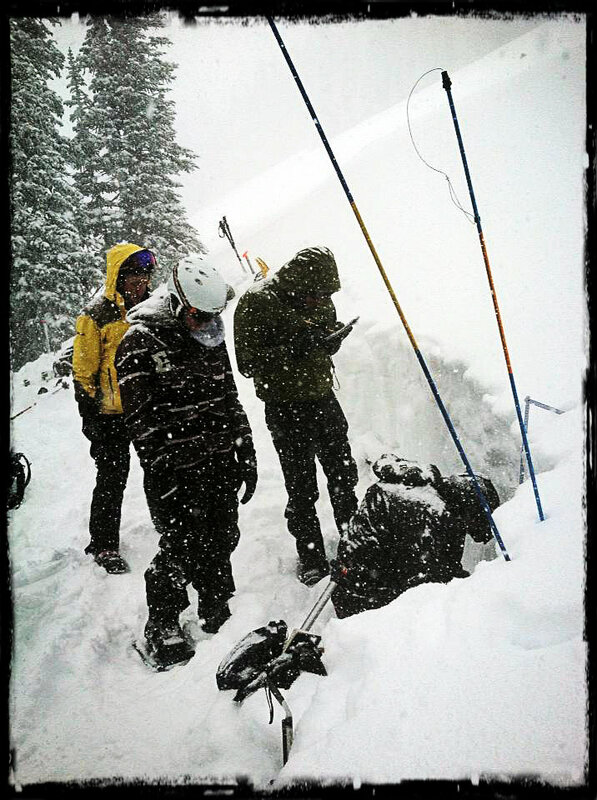 Avy training's not for everyone. But, I've wanted to learn the nomenclature and fundamentals of avalanche science for years (I'd also like to get my WFR). For me, Avy training meshes quite naturally with my, shall we say, fondness for winter weather-watching, as well as with my abiding affection for the winter season in general, snow skiing in particular, and my penchant heading out into the backcountry/slackcountry to do it when I get the chance. 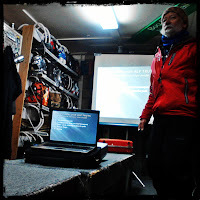 I learned a lot from our instructors, David Lovejoy, Derik Spice, and Troy Marino, over the course of the weekend, and I hope to be able to continue to build on my newly acquired foundational knowledge in the field. I may not ever go after my Level 2 cert (it's a four-day course). 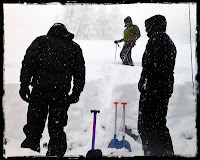 But I hope to be able to catch an opportunity now and then to head out with the ski patrol to dig and assess a few more pits. Likewise, and more importantly, I hope that what I've learned helps my friends and me to make better informed, reasonable decisions when skiing together on untracked snow out of bounds.